Your output is correct given the input that you used. Not the answer you're looking for? Browse other questions tagged address multi-sig-addresses java base58 or ask your own question. 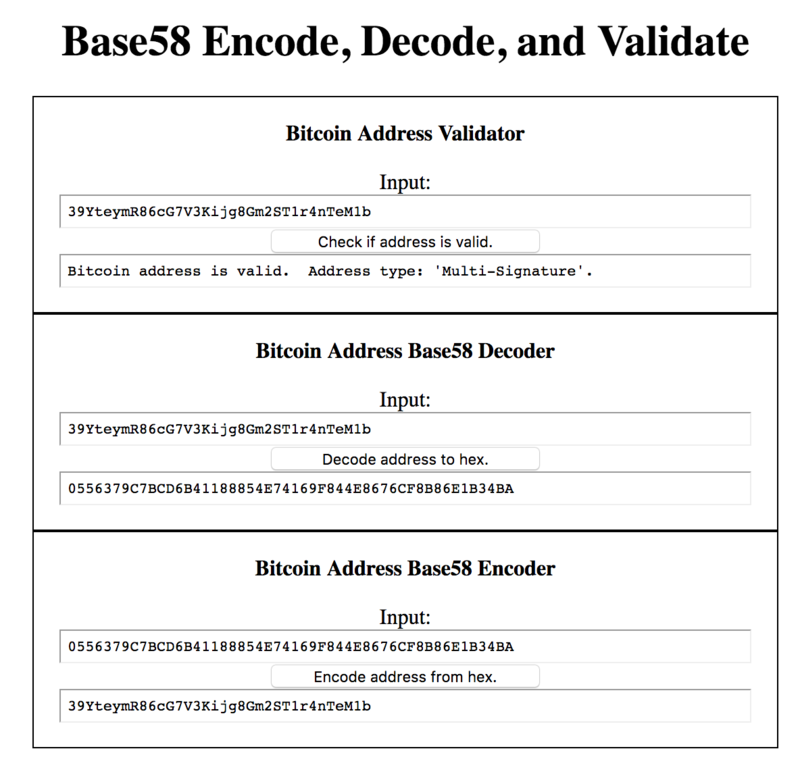 Why is Ripple's base58 alphabet so weird? Generating an address from a private key in Java? Why does my implementation of hex to Base58check produce different results than the example?